A $69 HeartView Scan May Save Your Life. Call 800-862-9886 To Schedule Yours Now! At Davis Hospital & Medical Center, we strive to serve the needs of our communities by delivering the highest quality of care with compassion and respect. We dedicate ourselves to the communities we serve to deliver affordable health care to all and being responsible partners. 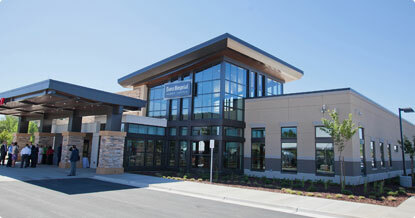 Davis Hospital and Medical Center, The Weber Campus, is a 16,000 square foot healthcare facility, located in Roy, UT.